Would you walk up to this house on Halloween night (house on lower left)? 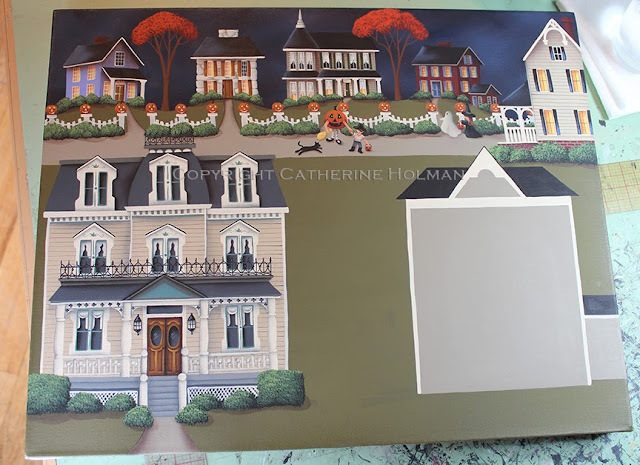 I've always thought this house looked a little spooky from the day I took the photo and I think it works well in this painting. Once I finished painting the shrubs and sidewalk, I realized that all the lights are off in this house. I may have to change that. I like my Halloween paintings to be child friendly especially with little goblins going door to door. What do you think, lights on or off? 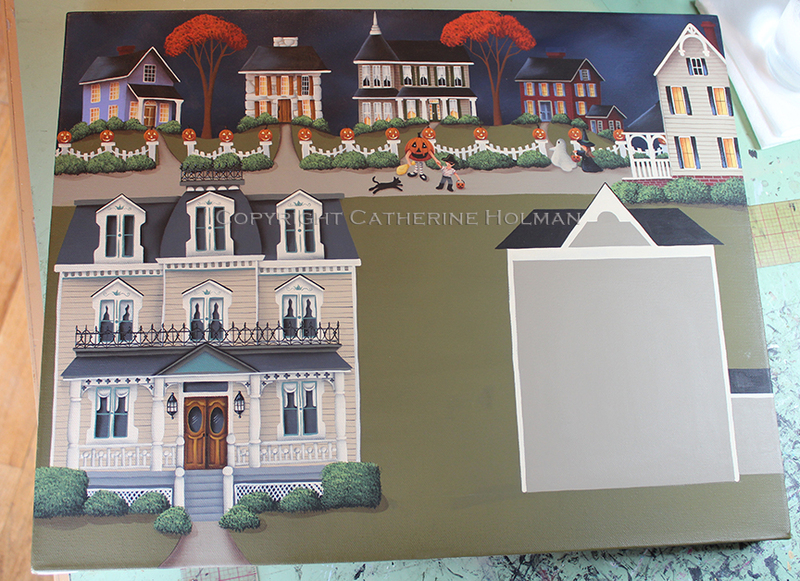 I started the lower right house this afternoon and hopefully this painting will be finished by the end of next week. Oh yes; lights on for sure and a pumpkin or two on the front porch! You can never have enough pumpkins in my opinion! Lights are good...OR all lights with one dark window and a face in the window. LOL. Nah. That's not at all kid friendly. This is going to be a wonderful painting! love Vee's comment, but I agree lights on.